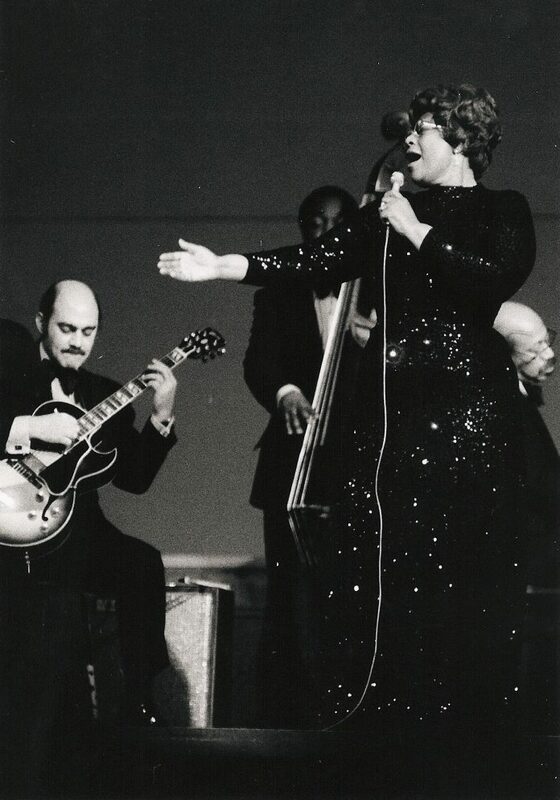 Over the course of her life, jazz singer Ella Fitzgerald won 13 Grammy awards and sold over 40 million albums. Fitzgerald worked with almost every artist of her era and appears in the Great American Songbook many times, in works written by artists such as Cole Porter, Harold Arlen, and Duke Ellington. Although Muhlenberg’s shuttle system had been closed and the LANta Bus system was also cancelled, many people braved the snow to attend the concert. As I walked into Miller Symphony Hall for the first time, the good-sized crowd was mostly made up of upper-aged adults, with small groups of Muhlenberg students trickling in to appreciate the classic music and Broadway-caliber performers. Free tickets were offered to Muhlenberg students for this concert and to the rest of the shows in their classical season, including Appalachian Spring & Rhapsody in Blue, A Midsummer Night’s Dream, and Verdi’s Requiem. Verdi’s Requiem will also be performed by the Muhlenberg College Choir and accompanied by the Allentown Symphony Orchestra. After executive director of Miller Symphony Hall Al Jacobsen introduced the show, the three stars kicked off the concert with “Strike Up the Band,” followed by Jenkins giving introductions for all the leading ladies. Each woman provided interludes with tidbits of Fitzgerald’s life, with little anecdotes like her first break, where she went to compete in a talent competition as a dancer, but when she saw the girl before her dance, she ran up to the composed and said she would sing instead. She won the competition, and thus started her extensive career as an incredible jazz singer. show concluded with the women singing a trio of “Mack the Knife” which almost immediately brought the crowd on their feet. A touching moment was when two little girls from the audience brought flowers to each of the women as they took their bows. They exited to put their flowers down, but came back on to perform “I Got Rhythm” and met with the audience after their encore. After the concert, a group of me and my fellow Muhlenberg students met with the performers and each of them were heard saying, “You’re all so young!” De Haas asked us, “You all know this music?” Melissa Tillman ‘22 attended the concert, and only had rave reviews, saying, “Everything was really well done, and it was a very good selection to show off some of the most famous songs and work that Ella has done.” As a lover of the Great American Songbook, it was an amazing and inspiring performance by these women and the Allentown Symphony Orchestra. Because they offer free tickets to many shows during their season, I encourage any student who loves music and the performing arts to take this opportunity to engage in an amazing asset to the Allentown community.